Nomadic spirit : Bring the light wherever you want by simply fixing the ceiling in the nomadic spirit. His colorful cord snaking is a decorative element in itself. 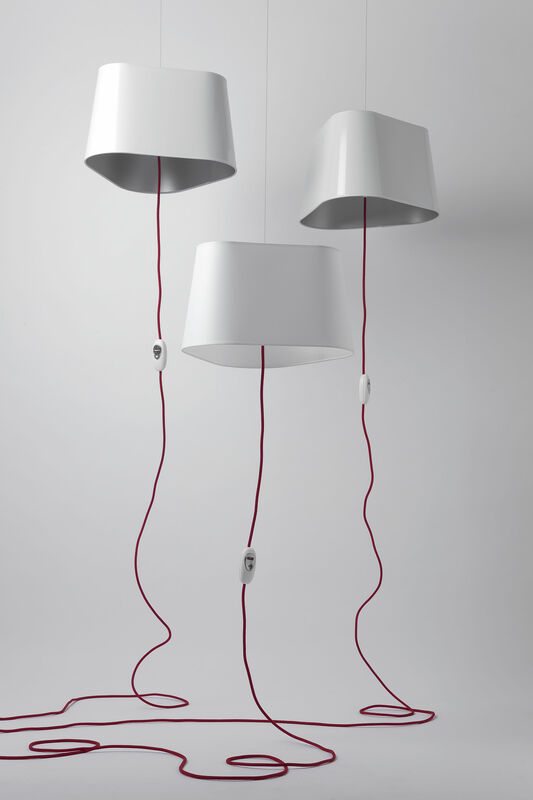 The suspension can be plugged into a simple plug and allows movement of the light in any room: living room, bedside ... avoiding any electrical connection to the ceiling. 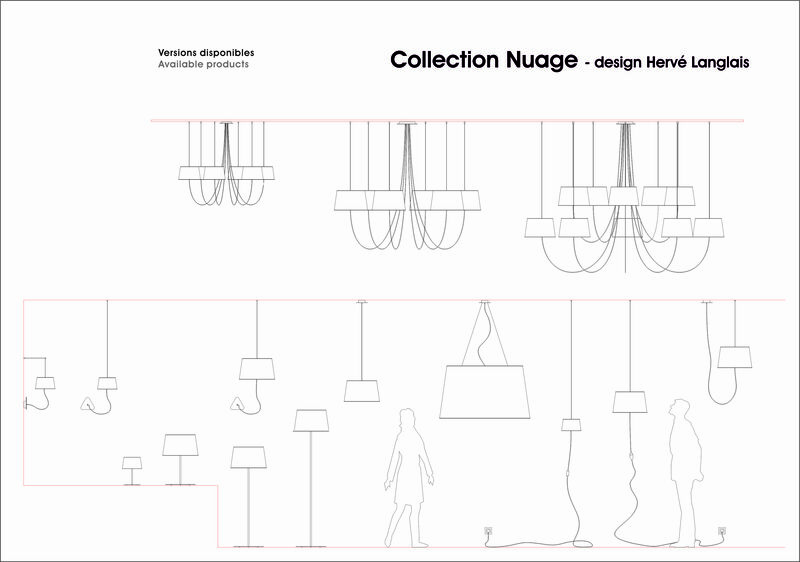 The lampshade of triangular shape produces a very particular light, cutting the space in architecture. 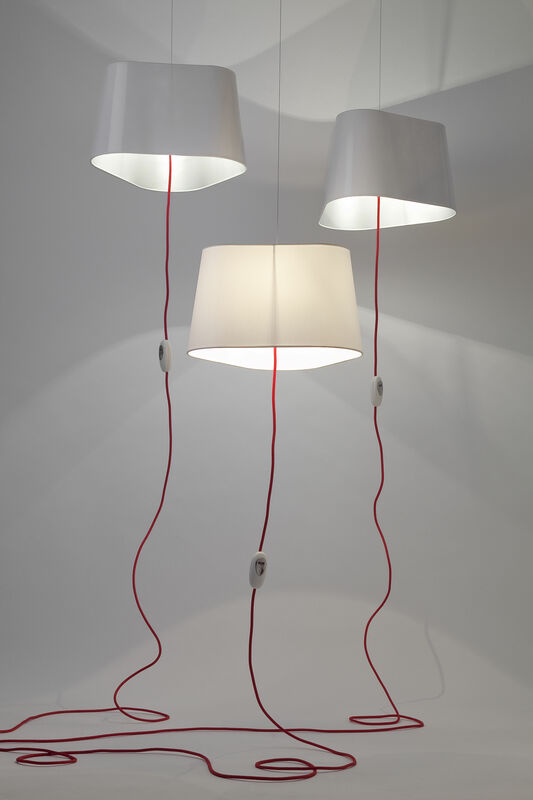 The lampshade, mounted on a cable can be mounted or lowered at will by the desire of the moment. It gives the feeling of floating in the air, lightness and levitation.